According to a recent news article from the Boston Globe, a two-car accident left a box truck with one wheel and most of the cab handing off the side of an elevated portion of Interstate 93 in Dorchester. The crash involved a box truck and Scion. While investigators are still trying to determine the cause of the accident, much of their initial focus was on a complex rescue operation. According to a Massachusetts State Police spokesperson, the box truck hit a guardrail after colliding with the Scion and was launched on top of the concrete barrier at the edge of the roadway. This particular section of Interstate 93 was elevated above a series of railroad tracks and the South Quincy T station. MBTA personnel shut down the heavily used Red line T station and the immediate area was evacuated of all passengers. This also affected MBTA Commuter Rail service, due to the box truck dangling over the tracks. MBTA used a shuttle bus service to take passengers to the next operating station, though this added a significant amount of time to an already lengthy commute for thousands of riders. Massachusetts State Police troops and Boston firefighters coordinated the operation using a large boom truck to lift the box truck off the side of roadway and get it ready to be towed away from the scene so rush hour traffic and train service could resume as soon as possible. Both drivers were apparently injured in this truck accident, and EMTs transported them to local Boston hospitals. There has be no report on either driver’s medical condition, and authorities have not charged anyone with a crime in connection with this car accident as of this time. Our Boston car accident lawyers know the doctrine of Respondeat Superior may be a valuable tool to help a plaintiff achieve a full and appropriate financial recovery. According to a recent story in the Bangor Daily News, in Maine, a man was arrested who had an outstanding warrant from Massachusetts, where he is suspected of being the driver in a hit-and-run car accident in which the victim died. Defendant was arrested on a charge of being a fugitive from justice. If a person has a warrant for his or her arrest and gets arrested in a different state, the state in which the arrest occurs will charge the defendant with the crime of being a fugitive from justice. This is not a true crime in the normal sense, but rather is used as a mechanism to legally hold the defendant until the state that issued the warrant can take custody of the defendant. This is what is commonly referred to as the extradition and rendition process. The National Transportation Safety Board (NTSB) recently made several critical safety recommendations. The letter urged the National Highway Traffic Safety Administration (NHTSA) to adopt the proposed regulations in order to make the roads safer by reducing the risk of truck collisions. Truck accidents are typically among the most serious collisions that occur, and preventing these types of crashes needs to be a top priority. Truckers also need to do their part to prevent collisions. If an accident happens because of a careless trucker, a Boston truck accident lawyer can help victims or their family members to pursue a claim for compensation. The National Transportation Safety Board is investigating a tragic accident that took the lives of 10 victims earlier this month. According to Bloomberg and other accounts, a FedEx truck crashed into a bus transporting more than 40 high school students in Orland, California. This is another tragic incident that draws attention to the danger of charter bus accidents. It also raises the potential for high-stakes claims against FedEx for liability. In addition to potential for wrongful death claims on behalf of those killed in the crash, there are at least 30 other victims who suffered serious injuries in the collision. While there are accidents everyday throughout Massachusetts, some crashes will draw national attention. This is a case involving young victims, a complicated accident scenario, and two large trucking companies. 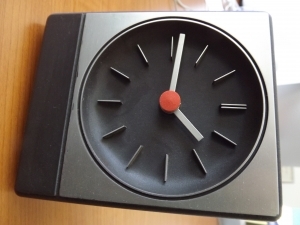 It is likely that the case will also result in multiple lawsuits and litigation. Our Boston car accident attorneys are dedicated to protecting the rights of victims who have suffered in a trucking accident. 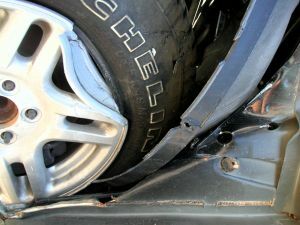 We are also prepared to handle even the most complicated accident claims. 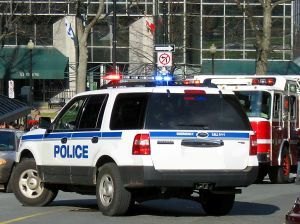 The federal government plays an integral role in monitoring truck company safety and compliance. 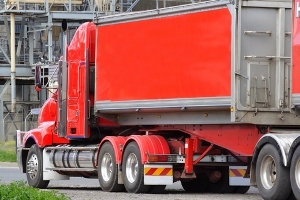 In addition to making laws, inspections, and enforcement, the government also tracks violations and accidents to determine a trucking company’s safety record. According to a new report and recommendations by the Office of Inspector General of the Department of Transportation, the data used to calculate trucking company safety wasn’t adequate to measure individual carriers. Trucking company safety records are important for ensuring compliance, raising standards, and in the event of an accident. Our Boston truck accident attorneys are committed to protecting the rights of victims and in raising awareness to improve safety on the roads. In the event of a truck accident, our legal team will review safety reports, private and public records, and determine the cause of the accident. It is our priority to hold trucking companies responsible to prevent future accidents and injuries. Hours-of-service rules set by the Federal Motor Carrier Safety Administration (FMCSA) are designed to limit the amount of time truckers can drive. The goal of these limits (which prohibit driving for more than 11 hours per day and require a 34-hour rest break after 60 hours of driving in a week) is to prevent drowsy driving crashes. Unfortunately, the rules are often difficult to enforce and truckers still too often drive when they are fatigued. In an effort to try to make the hours-of-service rules easier to enforce, and thus more effective, the Federal Motor Carrier Safety Administration has issued a new proposed rule that would require the use of electronic logbooks for the commercial bus and trucking industry. The FMCSA believes that this would cut down on burdensome paperwork requirements and would help to reduce the risk of truck collisions. The Federal Motor Carrier Safety Administration made a change to the rules related to the number of hours that truckers could drive back in December of 2011. The new rules aimed to reduce the risk of drowsy driving crashes caused by truck drivers who worked for long hours and who could start to zone out or even fall asleep due to fatigue. Our Boston truck driving accident lawyers know that there was a great deal of disagreement about the new FMCSA rule after its passage, including a court action filed by professional truck driving associations in an attempt to block the rule change due to the FMCSA’s process of creating the new requirement. 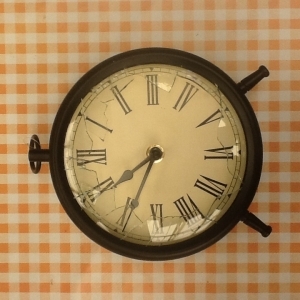 In August, the court largely upheld the FMCSA’s new hours-of-service limits with a slight modification, though, so now the rules have gone into effect despite ongoing disagreements between truckers and safety advocates about whether the rules go far enough or will be effective at preventing accidents. Transport in the United States heavily relies on the nation’s highways. Large trucking industries have a significant interest in carrying maximum loads at high speeds. This is a deadly combination for motorists nationwide. 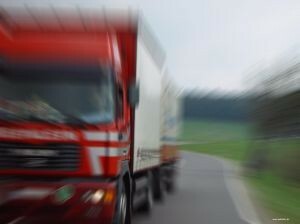 Trucks are responsible for thousands of accidents and injury every year. After analyzing these collisions, many safety experts believe that these accidents are preventable through tougher regulations. Congress has broad authority to regulate the trucking industry. By creating trucking regulations, the federal government has been able to minimize load size, restrict the number of hours a driver can be behind the wheel, and create speed limits for trucks in certain areas throughout the country. Our Boston truck accident attorneys, along with safety experts throughout the nation, are committed to safety on U.S. highways. We are also dedicated to helping accident victims recover the full compensation they deserve after a collision with a tractor-trailer, 18-wheeler or semi-truck. 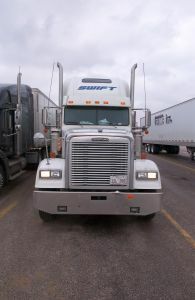 Trucks on the highway can loom in the rear-view, create blind spots, and become a menace for other drivers. 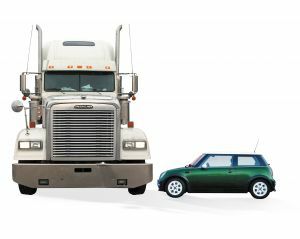 Even if you are in an SUV, you may feel powerless next to a commercial truck. Safety advocates are pressing Congress to take necessary steps to increase safety for drivers, passengers, motorcyclists and all others sharing the road with semi-trucks. 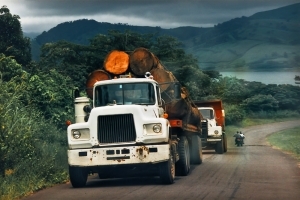 In addition to regulating sleep patterns, advocates have also suggested mandatory logging devices to ensure that drivers are not regulating these federal laws. The Safe Highways and Infrastructure Preservation Act (SHIPA) would place tighter restrictions on the size and weight of trucks. Most Americans agree that trucks are a hazard on the road, especially when traveling at high speeds or when carrying large loads. A recent poll shows that 68% of Americans are opposed to heavier trucks on the highways. In addition, the large majority of tax payers are opposed to being responsible for costs associated with truck accidents. Many critics of the trucking industry believe that Congress has prioritized big business over highway safety. In effect, America’s consumers are paying for the interests of corporations and the shipping industry with their lives. Failing to reduce weight restrictions means that the trucking industry is winning over the lives of everyday drivers and passengers. Advocates expect that new restrictions will make the highways safer and reduce dangerous conditions caused by heavy weight loads. For America’s families who have been victimized by deadly truck accidents, Congressional action is urgent. Every year, over 4,000 Americans are killed in trucking accidents. Though some accidents are caused by inclement weather or unforeseen circumstances, there are many ways that accidents are preventable. Reducing weight size is one way to help keep trucks and trucking companies under control. When you or someone you love is involved in a trucking accident, it is important to consult with an experienced and trusted attorney as soon as possible. Truck accident cases are complex and require an immediate investigation to preserve evidence including trucking company records, witness statements, and physical evidence recovered from the wreck. Working with experts can also help determine the cause of the accident and identify those individuals and entities responsible for the crash. Today’s semis and tractor-trailers do a decent job of working to keep passenger vehicles from sliding underneath them in the event of a traffic accident — but they could be doing better. According to the Insurance Institute for Highway Safety (IIHS), the standards for these underride guards are getting tougher, but they’re still not tough enough. Canada still has stronger regulations than the U.S. The problem is that these underride guards are really only effective in reducing the risks of injuries when a vehicle slams directly into the back of one of these large commercial vehicles. When a car slams into the side-rear portion of the truck — your chances don’t look so good. Our Boston truck accident lawyers understand that these underride guards are meant to protect you. They’re the steel bars that you can find hanging from the back of tractor-trailers and other big rigs to help to keep you from underneath. Recently, officials with the National Highway Traffic Safety Administration (NHTSA) improved these regulations, but they weren’t made tough enough. The IIHS is campaigning for tougher standards for existing requirements, while working to get these underride guards one more kinds of large vehicles — like dump trucks. Canada has had tougher underride guard standards than us since 2007. Officials have been trying to shed light on this problem for years now, through more thorough underride crash tests.To see just how well these guards are working, officials with the IIHS recently conducted a crash test consisting of eight of the largest manufacturers in the business. 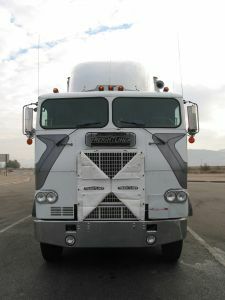 All of the trailers involved had guards that met both Canadian and U.S. standards. The only difference was the positioning of these guards. Come to find out, the location of these guards can make all the difference. Unfortunately Canadian trucks seemed to record better scores than ours in these tests. Officials with the NHTSA report that there were more than 250 people who were killed in accidents with these large trucks because of underride issues. Although that’s a number that’s down from about 460 in 2004, it’s still a number that’s far too high. While officials would like to credit the decrease to tougher underride guards, they’re leaning more toward the fact the drivers have been out on our roadways less because of the struggling economy. Underride guards or not — you need to be on your best behavior when traveling near these large tractor-trailers. Our passenger vehicles don’t stand much of a chance against these large, commercial carriers. It’s time to rely on our safe driving habits and not these guards. Keep a safe distance from these vehicles when traveling along our state’s busy roadways. Remember that these vehicles move and function much different than our vehicles. Allow them plenty of time and space to navigate the street and to help to keep you safe out there.